Mobile day surgery facilities can offer a substantial increase in clinical capacity and post-operation bed space. Suitable for a wide range of both general and specialist surgeries, they can be used to maintain patient access to care during refurbishment programmes or to overcome clinical capacity challenges. A mobile day surgery unit is an ideal means of providing additional clinical capacity for high-demand procedures. 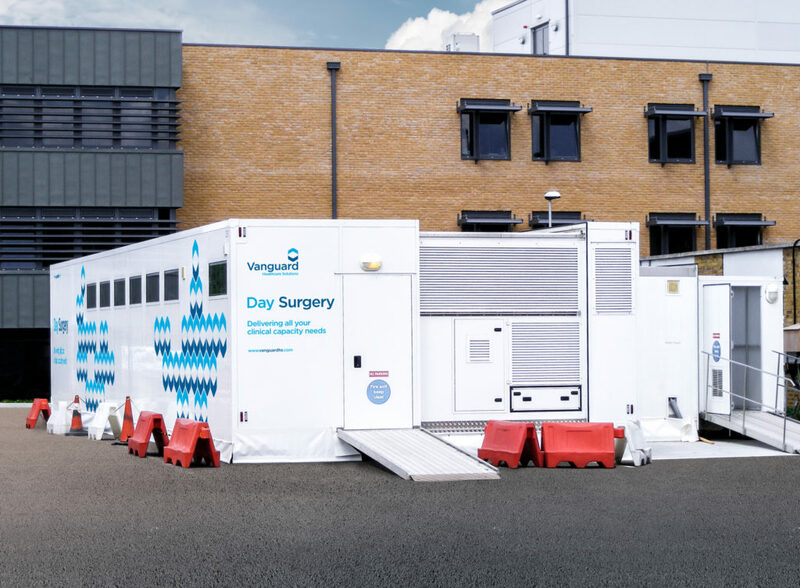 Vanguard day surgery units have been used within the NHS to support clinical activity in specialities including general surgery, endoscopy and plastic surgery, amongst others. A mobile day surgery facility offers HEPA-filtered environmental air which conforms to Grade C EUGMP. Patients can be admitted and discharged from within the facility, allowing it to operate either connected to the hospital or as a standalone unit.